High quality product to create a protective and very realistic glossy sheen to areas where applied. This product also serves as a protective layer for the paint underneath. Apply in the way you would with any varnish. Apply and let dry for a few minutes. This product can also serve as a perfect finishing touch for metallic paints such as AK Interactive Xtreme Metal. 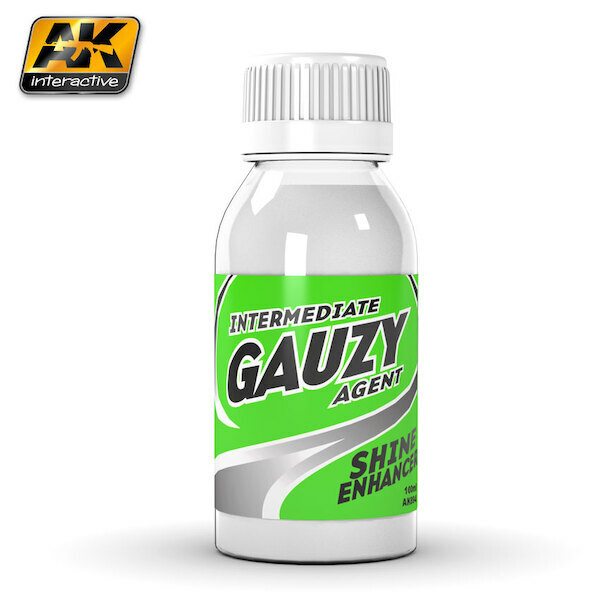 Apply Gauzy Agent to any single part or sections of your model that are begging for an incredible transparent shine. With self-leveling properties, it can be applied with brush or airbrush.s.